Jun. 16, 2016 6:00 a.m.
1. Live music and other festivities are happening at Surrey Fest Downtown, which moves to Holland Park on Saturday, June 18 from 11 a.m. to 4 p.m. The Downtown BIA-backed festival this year features music by the Tom Landa-led band Locarno (“a groove-heavy mix of Mexican folk, Cuban son and Latin soul”), Freeflow, Drum Syndicate and Chris Hamilton, plus face painting, arts and crafts and a bouncy castle. Organizers say the aim of Surrey Fest this year is “to inspire those living and working in Surrey to get involved with opportunities presented in our community.” More details are posted at Surreyfest.com. 2. Jazz big bands and orchestras will fill a Fleetwood church with swinging music on Saturday (June 18) during the West Coast Jazz Invitational 2016 event, from 11 a.m. to 10 p.m. at Northwood United Church (8856 156th St., Surrey). The daytime concerts are free to attend, but the evening show is $20 per ticket. 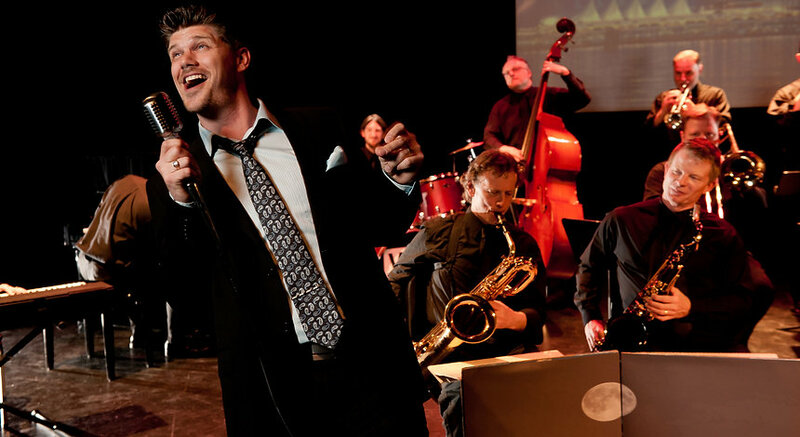 Featured bands include The Vancouver Groove Orchestra (PICTURED), Mighty Fraser Big Band, The Jazz Connexion, South Van Big Band, Bruce James Orchestra and others. Check Westcoastjazzinvitational.com for more details. 3. Check out the state-of-the-art Surrey Operations Centre, get a behind-the-scenes tour of city hall or take a stroll through the gardens of Darts Hill Garden Park during the fifth annual Surrey Doors Open event, set for Saturday, June 18 from 10 a.m. to 3 p.m. Yes, as the event title suggests, doors will be open at 20 Surrey places, with a “hop-on, hop-off” trolley fueled up to move people. See more at Surrey.ca/culture-recreation/15240.aspx.